Spondyloarthritis is a name for a group of diseases that is included in a larger term 'arthritis'. Inflammation can occur in spine, sacroiliac and peripheral joints as well near the attachments of tendons and ligaments. This disease provokes to pain, stiffness and fatigue in back, legs and arms as in joints, ligaments and tendons. Eruption, eye and intestinal problems may also occur. Due to this fact, there is a large complexity. This is because there are several anatomic structures involved. We can assume that the inflammation can occur on all the joints of the spine. The facet joints, endplates, bone marrow, … every part of the spine can be affected by an inflammation. Sacroiliitis in SpA is characterized by involvement of different joint structures. Whereas the iliac and the sacral side of the sacroiliac joints are almost equally affected, the dorsocaudal synovial part of the joint is involved significantly more often than the ventral part, especially in early disease. 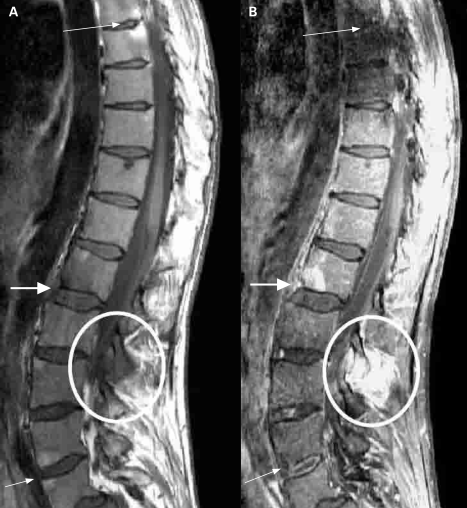 Sacroiliac enthesitis is not a special feature of early sacroiliac inflammation. There is a difference between axial and peripheral spondyloarthitis, with axial spondyloarthitis back pain and inflammation of the sacroiliac joints are the main complaints. In peripheral spondyloarthritis, the inflammation of peripheral joint and tendons are the main complaints. Further, spondyloarthritis can show an inflammation of peripheral joints (for example, knees and ankles), and tendons (for example, the Achilles tendon). Predisposition to spondyloarthritis, especially SpA, is determined largely by genetic factors. The incidence rate is higher in populations with a higher prevalence of HLA-B27. Psoriatic skin lesions and colitis due to inflammatory bowel disease (IBD) have been considered as both basic, subtype-defining entities with their own genetic background (distinct from HLA-B27 genotype), and as manifestations of spondyloarthritis. There is a strong need to diagnose patients with SpA in an earlier stage; currently there is a delay of 5–10 years between onset of the first symptoms and diagnosis. Symptoms that may occur with spondyloarthritis are pain, stiffness and fatigue in the back, legs and arms. There are no typical characteristics, because spondyloarthritis characterises with more than one symptom. We see that significantly more women have knee pain as presenting symptom. and we can assume that severity of symptoms can vary between individuals. Here are the most common characteristics. peripheral arthritis, usually asymmetric, relatively more in the lower limbs. The disease starts with hip or low back pain. The most common symptom is intermittent pain that progressively gets worse thoughout the day, in the morning, and following intensive activity. Most patients experience back pain in the sacroiliac joints. However, pain can involve all the parts of the spine. Pain relief is sometimes achieved by bending over. It is possible that a patient is not able to fully expand the chest due to the involvement of the joints between the ribs. Pain at night (with improvement upon getting up). Studies are under way to define ASAS criteria for nonaxial (peripheral) SpA. Psoriasis, finger swelling, Crohn's disease or ulcerative colitis can be indicative for Spondyloarthritis. Reliant on your symptoms and how severe your condition is, the doctor can decide what kind of treatment is the best option for the patient. non-steroidal anti-inflammatory drugs (NSAIDS, by example naproxen, ibuprofen). Anti-rheumatic drugs (DMARDs) have been proven effective in the treatment, but only for the arms and legs, not for the spine and sacroiliac joints. Corticosteroids, given by the mouth or injections, can be effective. We must remind ourselves for the side effects, such as osteoporosis and infections. Injections of deposteroid in the joints of tendon sheaths are also used for symptomatic relief of the local flares. TNF alpha blockers are also effective in both spinal and peripheral joints. Infliximab (Remicade), given a dose of 5 mg/kg intravenously every sic to eight weeks. TNF treatment is expensive and is not without complications, therefore, NSAIDs and DMARD should be tried first. 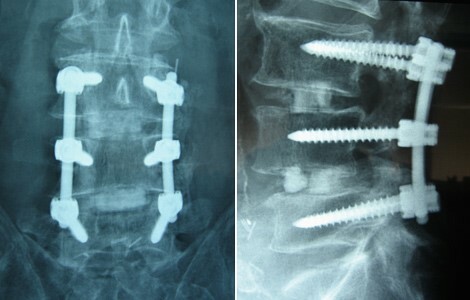 No specific drugs is considered more superior than another for the treatment of spondyloartritis. 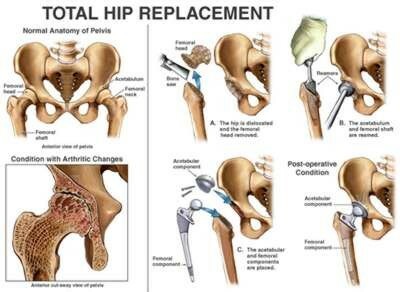 Apart from a medication treatment, physiotherapy is recommended in spondyloarthritis. This physical therapy generally focuses on the exercise regimens whose purpose is to maintain mobility and strength, relieve symptoms, prevent or decrease spinal deformity, and improve overall function and quality of life. The physiotherapy treatment consists mainly of exercise therapy. Evidence level of this therapy? The patients should perform daily special stretching and strengthening exercises to maintain the strength and mobility in the joints and reduce pain and stiffness. The strengthening exercises help to support and take pressure off sore joints. They also strengthen bones and improve balance. One can use weights or dumbbells for strengthening exercises. Walking: 30 minutes, three times a week for six weeks - Walking exercise should be performed at 60-70% of the pVO2, at a level of 13-15 on the Borg scale and 60-70% heart rate reserve. Special attention should be given to a good posture of the patient. RAPIT (Rheumatoid Arthritis Patients In Training) is a training program for patients with rheumatoid arthritis. It is a biweekly, supervised groupsession that consists of bicycle training, an exercise circuit, and a sport or a game. The duration of each session varies from 60 to 75 minutes. 60–80 rounds per minute (rpm) and 60-80 % of maximum heart rate (MHR=220/[226-age]) to increase aerobic capacity. Ratings of perceived exertion (0=“not at all exhausting” to 10=“maximal exhaustion”) should be at values of 5 to 6. Exercise circuit (duration: 20-30 minutes) - The circuit training is a sequential training exercise to enhance muscle strength, strength endurance, mobility and coordination. Over 20 minutes a circuit of eight to ten single exercises is completed twice, each exercise lasting 60 to 90 seconds with 30-60 seconds resting time between each one. Sport/games (duration: 20 minutes) - This section of the program consists of impact-delivering sporting activities such as badminton, volleyball, indoor soccer, and basketball. ↑ 11.0 11.1 Wesseling J, Dekker J, Van den Berg WB, Bierma-Zeinstra SM, Boers M, Cats HA, Deckers P, Gorter KJ, Heuts PH, Hilberdink WK, Kloppenburg M. CHECK (Cohort Hip and Cohort Knee): similarities and differences with the Osteoarthritis Initiative. Annals of the rheumatic diseases. 2009 Sep 1;68(9):1413-9. ↑ Roussou E, Sultana S. Spondyloarthritis in women: differences in disease onset, clinical presentation, and Bath Ankylosing Spondylitis Disease Activity and Functional indices (BASDAI and BASFI) between men and women with spondyloarthritides. Clinical rheumatology. 2011 Jan 1;30(1):121-7.